ine times out of 10, when you’re working on something that you really want, you’ll have to dig down deep to access parts of yourself you didn’t even know existed. Right now, I’m having to dig. One of my true soul goals is on the line and I am being called to take the type of action that, in truth, terrifies me. So, yesterday morning, I sat down to meditate on Curl Curl cliffs. As I went inward, I was presented with The Hero’s Journey, an archetypal journey that my talented friend Pip McKay shared with me recently. The Hero’s Journey is one that author Joseph Campbell brought to life in 1949 when he published his first book: The Hero With A Thousand Faces. Campbell studied myths, legends and stories from all over the world and realised that there was really only one story. It’s a story describing the journey that an ordinary person goes through in order to become the hero in their own life. It also provides the structure of some of the greatest movies ever made, including The Matrix, Star Wars. the Lion King and many more. Perhaps you’re a soulpreneur with a business goal… or maybe you have a health, relationship or financially based soul goal that is important to you right now. 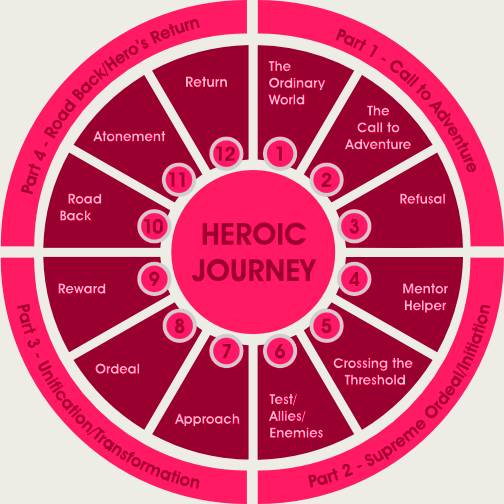 Whatever the case, understanding The Hero’s Journey can help you identify where you are at on your path and what you need to do next to make sure that the ending is a happy and heroic one. This is where the Hero exists before the story begins, oblivious of the adventures to come. It’s her safe place. Her everyday life where we learn crucial details about our Hero, her true nature, capabilities and outlook on life. The Hero’s adventure begins when she receives a call to action, such as a direct threat to her safety, her family, her way of life or to the peace of the community in which she lives. It may not be as dramatic as a gunshot, but simply a phone call or conversation but whatever the call is, and however it manifests itself, it ultimately disrupts the comfort of her Ordinary World and presents a challenge or quest that must be undertaken. Although the Hero may be eager to accept the quest, at this stage she will have fears that need overcoming. Second thoughts or even deep personal doubts as to whether or not she is up to the challenge. When this happens, the Hero will refuse the call and as a result may suffer somehow. The problem she faces may seem too much to handle and the comfort of home far more attractive than the perilous road ahead. At this crucial turning point, where the Hero desperately needs guidance, she meets a mentor figure who gives her something she needs. She could be given a book of wisdoms, an object of great importance, insight into the dilemma she faces, advice, practical training or even self-confidence. Whatever the mentor provides the Hero with it serves to dispel her doubts and fears and give her the strength and courage to begin his quest. The Hero is now ready to act upon her call to adventure and truly begin her quest, whether it be physical, spiritual or emotional. She may go willingly or she may be pushed, but either way she finally crosses the threshold between the world she is familiar with and that which she is not. It may be leaving home for the first time in her life or just doing something she has always been scared to do. This action signifies the Hero’s commitment to her journey and whatever it may have in store for her. Now finally out of her comfort zone, the Hero is confronted with an ever more difficult series of challenges that test her in a variety of ways. Obstacles are thrown across her path; whether they be physical hurdles or people bent on thwarting her progress, the Hero must overcome each challenge she is presented with on the journey towards her ultimate goal. The Hero also finds out who can be trusted and who can’t. The inmost cave may represent many things in the Hero’s story such as actual physical danger or an inner conflict which up until now the Hero has not had to face. As the Hero approaches the cave she must make final preparations before taking that final leap into the great unknown. She may need some time to reflect upon her journey in order to find the courage to continue. The Supreme Ordeal may be a dangerous physical test or a deep inner crisis that the Hero must face in order to survive or for the world in which she lives to continue to exist. Whether it be facing her greatest fear or most deadly foe, the Hero must draw upon all of her skills and experiences gathered upon the path to overcome her most difficult challenge. Only through some form of “death” can the Hero be reborn, experiencing a metaphorical resurrection that somehow grants her greater power or insight necessary in order to fulfil her destiny or reach her journey’s end. After defeating the enemy, surviving death and finally overcoming her greatest personal challenge, the Hero is ultimately transformed into a new state, emerging from battle as a stronger person and often with a prize. The Reward may come in many forms: an object of great importance or power, a secret, greater knowledge or insight, or even reconciliation with a loved one or ally. Now she must return home with her reward. But the Hero’s journey is not yet over and she may still need one last push back into the Ordinary World. The moment before the Hero finally commits to the last stage of her journey, she may experience a moment in which she must choose between her own personal objective and that of a Higher Cause. This is the climax in which the Hero must have her final and most dangerous encounter with death. If she fails, others will suffer and this not only places more weight upon her shoulders but in a movie (of your life), grips the audience so that they too feel part of the conflict and share the Hero’s hopes, fears and trepidation. Ultimately the Hero will succeed, destroy her enemy and emerge from battle cleansed and reborn. This is the final stage of the Hero’s journey in which she returns home to her Ordinary World a changed woman. She will have grown as a person, learned many things, faced many terrible dangers and even death but now looks forward to the start of a new life. The final reward represents three things: change, success and proof of her journey. The Hero’s doubters will be ostracized, her enemies punished and her allies rewarded. Ultimately the Hero will return to where she started but things will never be the same again. Are you being called to become the hero in your own life adventure? Sure. Let me know when suits. Are you free over the weekend? We could jump on Skype tomo Saturday or Monday some time? Im free Monday morning – either 9 or 10. 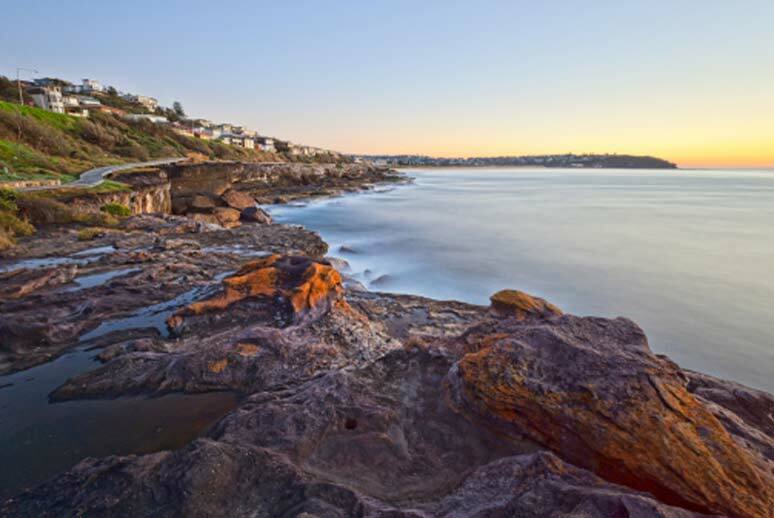 Also, Im on the Northern Beaches if you want to meet for a coffee in real life – whatever suits. Hi Eloise. I was not free this weekend. How about this week sometime if you’re still interested!? Thursday mid morning or Friday mid morning work for me – or in the evening. Loved reading this. Somewhere i was trying to relate this to the challenges of my life and the current stage i am at. Feels good to tell myself that i too am a Hero of my life… and the end is definitely good one. 🙂 Thanks Eloise! Yes, I think it’s helpful too Amrapali. It inspires you to dig a little deeper for the courage and reserves needed to be victorious… And to not let fear and doubt stop you too early in your journey. Loved your comments. Great to hear from you on this platform… Our brand new website!